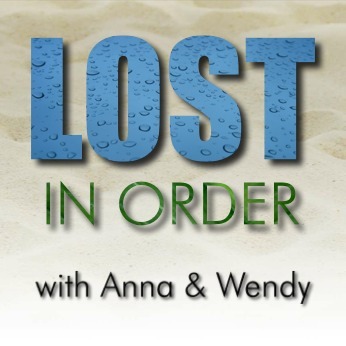 Anna and Wendy discuss episode 35 of Chronologically LOST, Episode 035 – October 13-15 2004 (days 22-24), featuring Shannon and Sayid translating Rousseau’s notes and equations, Sawyer trying to pick the lock on a Halliburton, Rose confronting Charlie about the funk he’s in, Jack and Kate opening the case together, moving the camp up the beach, Ana Lucia questioning Nathan and Goodwin “freeing” him, Sun planting a garden, Locke mixing his paste and staring at the hatch and questioning Boone’s loyalty to their cause, Nikki and Paulo exploring, and Hurley stepping on a sea urchin. Podcast length 1 hr 28 min. Anna and Wendy discuss episode 34 of Chronologically LOST, Episode 034 – October 7-13 2004 (days 16-22), featuring the search for Claire and Charlie, Walt and Hurley betting on their backgammon games, Jack reviving Charlie, Locke and Boone finding something metal in the jungle, Ana Lucia digging a pit and throwing Nathan into it, and Sawyer and Kate taking a swim and finding a briefcase. Podcast length 1 hr 18 min. Never Let It Fade Away: LOST inspired interior decorating! There’s a LOST themed nursery room, and then here’s Damon Lindelof planking on his hatch coffee table!